The CNA salary in Louisiana is based on your experience in the medical profession, as well as the type of health care center and city you work in. Certified nursing assistants are health care professionals who provide basic care to different clients from hospitals, long-term care facilities, or at home. This profession is increasing these days and has been in demand with greater opportunities for work. In Louisiana, the salary wage is ranging from about $18,000 to $22,000 each year. The wage is currently around $11 to $14 per hour and demand for these workers is expected to increase over the coming years. 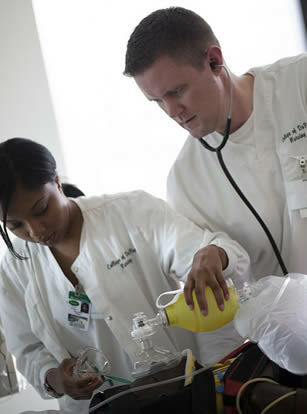 It is of great advantage when certified nursing assistant already have work experience. In this way, there will be more chances of getting hired and even getting higher salary wage to start with great benefits. Experienced CNAs are offered with higher income compared to entry-level CNAs. To be able to receive higher salary, a CNA can begin gaining experience in nursing homes as well as in home health agencies. The range of the salary in Louisiana of certified nursing assistants vary depending on the job location. CNAs working in rural areas are paid lesser compared to those working in cities. However, there are rural clinics or even hospitals offering higher pay to workers if they already have work experience so that they will continue to render their services in the rural sites. Salaries of CNAs is as well based on the cost of living in a particular area. Different employer offer their employees with various salaries per their discretion. Most of the time, CNAs apply to hospitals because of the higher pay rate with great benefits being offered to the employees. On top of the salaries that certified nursing assistants receive, they also are offered benefits from their employer. There are several different employment settings where certified nursing assistants work. Their average income per year also varies depending on the type of facility one is employed at. Based on the BLS or Bureau of Labor Statistics, the job opportunities for certified nursing assistants have been anticipated to increase by about twenty-one percent in the coming years in comparison to other occupations. However, there is one factor that will decrease the demand for CNAs and it is because of the number of nursing homes just depend on the funding of the government. To begin your career in this field one will need to enroll in CNA classes in Louisiana to learn the skills necessary for the proper care of patients as well as the information needed to pass the state certification exams. Many training facilities provide a gateway from training to an entry level job at the center which is helpful for those looking for immediate employment.